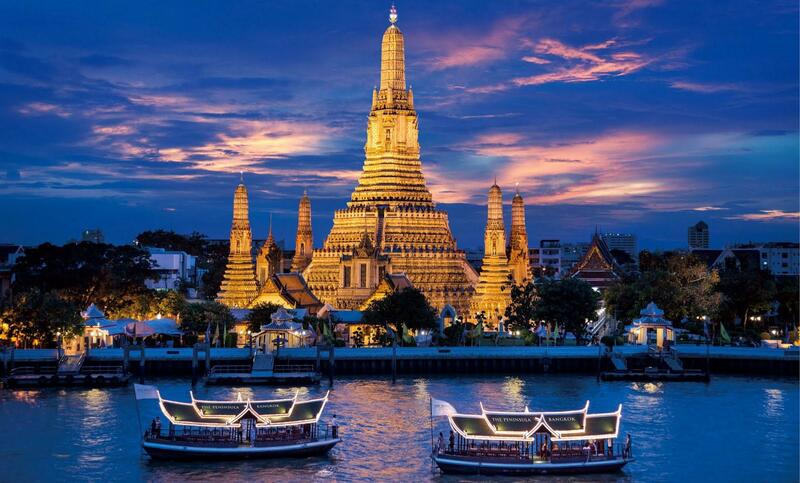 Introduction:Known as the Venice of the East, You can see lot of attractions in Bangkok. The capital of Thailand is gradually modernising, however, the grandeur and glory of its illustrious past still prevail. The spectacular palaces, dazzling temples and world-famous floating market, is something unique to this part of the world. There are also spas, skyline view bars, excellent restaurants and luxurious hotels to pamper yourself in. It is sure to thrill you with its vibrant colours, energy, sightseeing, shopping and a whole lot more. 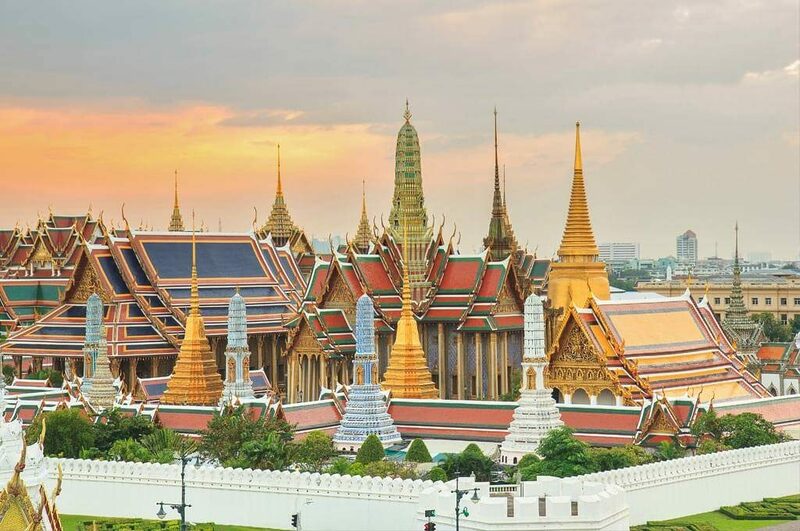 The Grand Palace is one of the most popular must-see attractions in Bangkok. 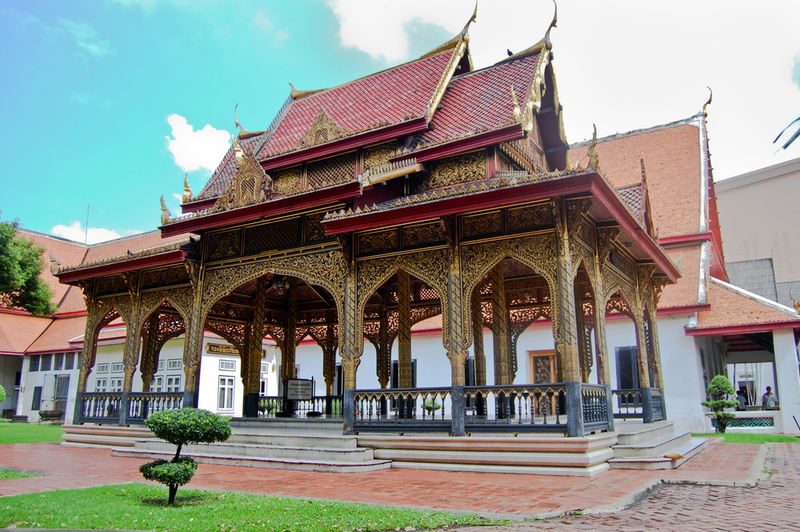 Constructed in the 17th Century, this royal building has some spectacular structures that are unique and is still used for important ceremonies. However, before you set out to visit this monument, do make sure you dress appropriately. 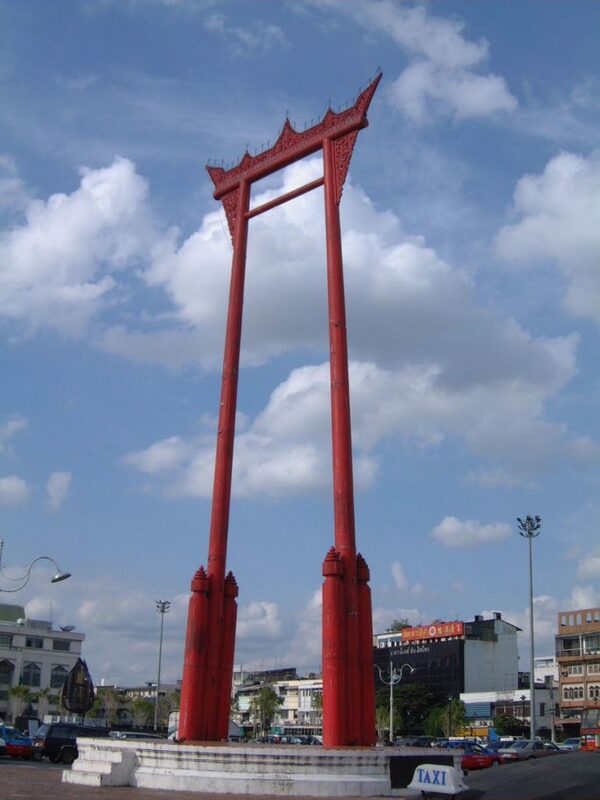 Situated in the center of the busy square in front of Wat Suthat lies one of Bangkok’s most eye-catching sights- the Giant Swing (27 m high teak frame). It once used to be the focus of a religious ceremony in the month of December. The act of swinging the giant swing was supposed to ensure a good harvest. Teams of great young men would ride the swing high in the air, suspended 24 metres from the ground and try to grab a bag of silver coins with their teeth. However, as injuries and the number of fatalities increased, the game was brought to a close. If you happen to pick the National Museum and Wang Na Palace, ensure to dedicate at least half a day for sightseeing. Here you can see regalia, religious and ceremonial artefacts, weaponry, musical instruments and other impressive architecture that are not to be found anywhere else. 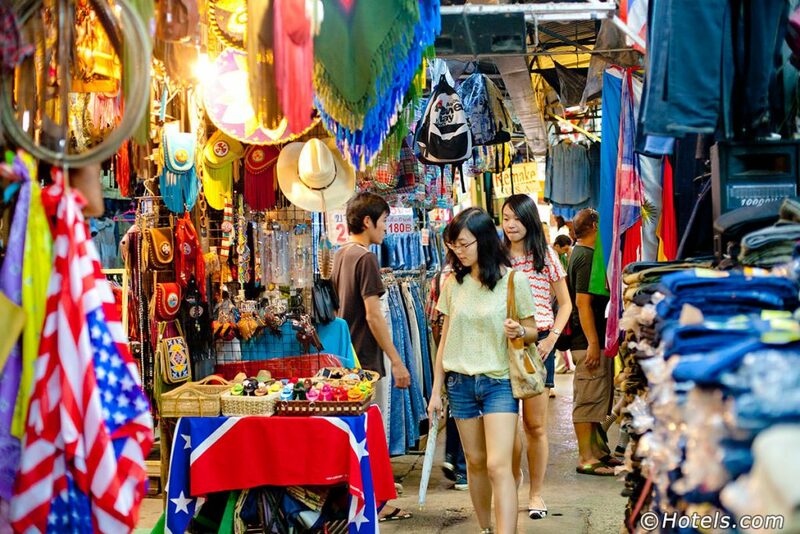 A trip to Bangkok is incomplete without visiting the largest sprawling market in the world- Chatuchak Market. It has over 15,000 stalls that offer everything you could dream for. Those wanting to experience the real Thai Life, must make sure to keep their schedule clear and head to the market. Here, you will find everything from jewellery to delicious street foods and more. For an even more interesting market experience, visit Damnoen Saduak – a famous floating market in Bangkok. Here, you can buy fresh and delicious foods, and interact with locals in an authentic way. No trip to a city is complete without visiting the vastly meandering busy streets. 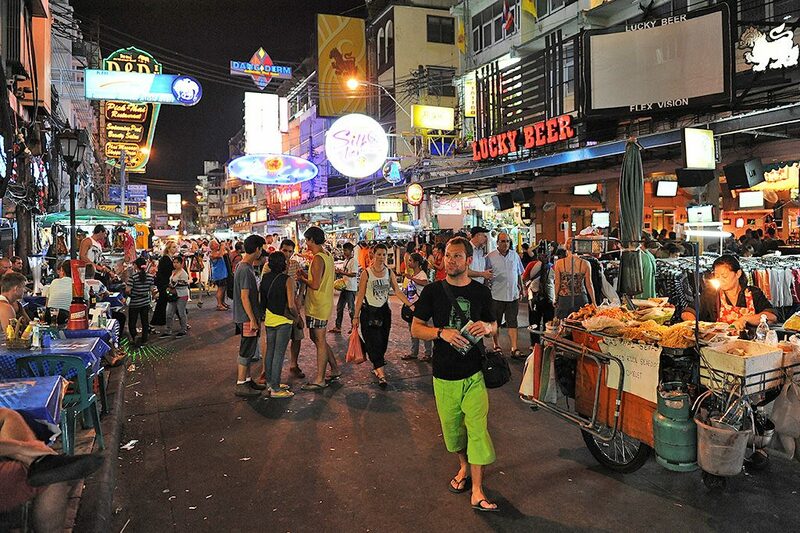 The Khao San Road is one such place where you are likely to find travellers from every corner of the globe. Not only that, the 1km long strip is packed with many budget guesthouses and mid-range hotels, internet cafes, swanky bars and clubs, restaurants, massage parlours, bookshops, market stalls, tattoo shops and more. Amidst the traffic and chaos of Bangkok lies Lumpini Park. Used by the locals to jog and exercise, it helps them escape the blaring sun and start their day fresh. Lumpini Park is also known for the paddleboats for couples, playgrounds for kids, basically something for everyone. If the above-mentioned places in Bangkok have left you dreaming of a vacation to Bangkok, make sure to choose from the best Bangkok packages. They will definitely to take you around where you can live in peace, soak in the beauty, shop and dine like royalty as you explore the must-see attractions in Bangkok! Known as the Venice of the East, Bangkok has a lot to offer. These 6 attractions in Bangkok will guarantee to make your trip a memorable one.